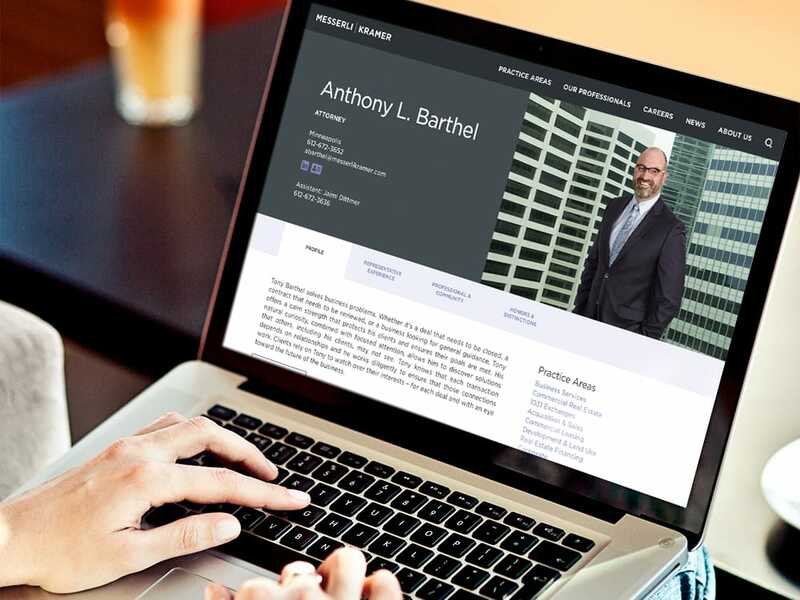 Concerned about unfocused branding and a dated website that lacked visual impact and intuitive navigation to key practice areas, legal professionals and news, Messerli Kramer, a top 20 Minnesota law firm, turned to MVP for a brand-to-web refresh and Search Engine Optimization. Minimally responsive to cell phones and tablets and employing a difficult to manage Drupal CMS, M│K wanted MVP to deliver a new, cost effective and easy-to-manage CMS website that would surpass the competition and reflect their impressive reputation. Beginning with a new corporate identity featuring a contemporary color scheme and expressed through comprehensive brand guidelines, MVP revamped the Client’s logo, website, stationery and conference exhibits. Rethinking navigation, our UX and development team crafted a Mega Menu, which allows visitors to easily access all or specific practices. 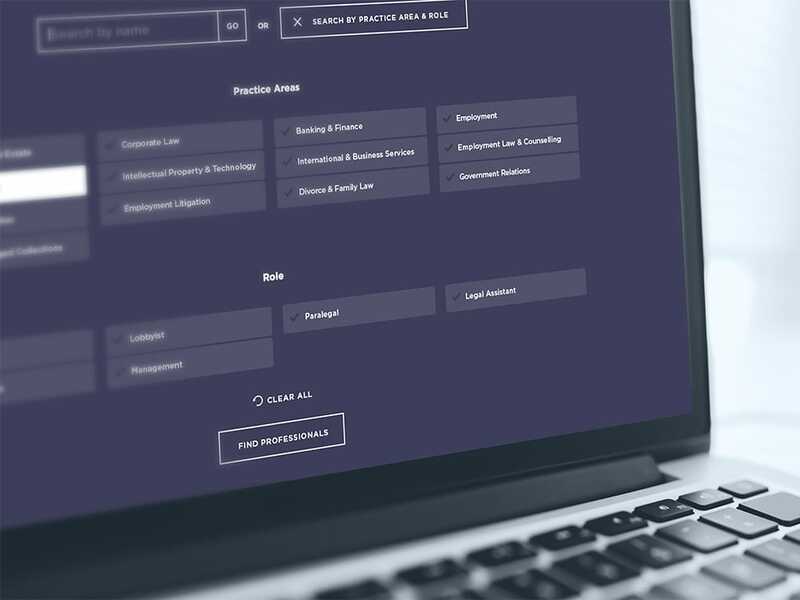 Additionally, an innovative custom complex filter deftly matches site visitors to the firm’s professionals, based on each attorney’s specialty and role. The SEO-optimized and customized WordPress platform, which was much more affordable than large law firm .NET CMS solutions, further enabled the marketing team to easily accommodate frequent news and occasional staff changes—and raise the bar when it comes to modern law firm website design.